A Contemporary Architectural dwelling with intricate detailing. 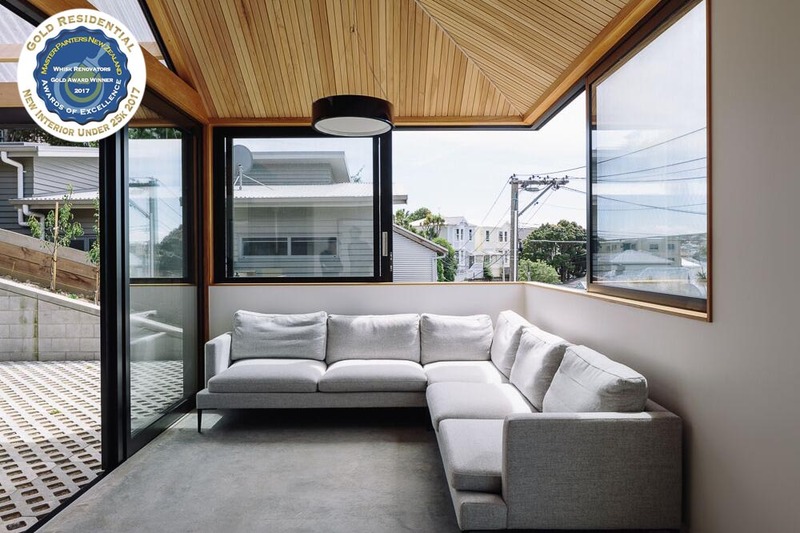 Protection of exposed surfaces – Macrocarpa ceilings, polished concrete floors and stairs. Clear Coating to door jambs and window reveals. Its contemporary design embodies today’s sophistication and yet at the same time is minimal and simplistic. The property exudes ‘rule breaking’ which is seen throughout its contemporary construction, unlimited use of materials and room configurations. A strong emphasis on line and form - two essentials of good design - gives this contemporary home style and energy. These rooms are designed with abundant open space and natural light in mind, which makes them feel airy and expansive. Its simplified style and design elements, with Geometric shapes, are complemented with an all-white décor which fitted perfectly with this contemporary new interior design. Prior to starting, all interior surfaces were dusted and vacuumed to eliminate contamination and dust particles from being deposited onto and/or into paint and surfaces being painted. The exposed concrete block wall through the kitchen area was sealed with Resene ‘Concrete clear’ giving a natural clear finish. The walls were coated with Resene ‘Wallboard Sealer’ and finished with 2 topcoats of Resene ‘Spacecoat’. All Interior doors were finished in Resene ‘Lustacryl’ with the Cavity Slider doorjambs and windowsills in Resene ‘Aqua clear’ to enhance the Macrocarpa grain. In theme with any contemporary design, cream, white, tan, beige and black were used and were tied together with green carpets. The Contemporary use of colour celebrates what isn't there, as much as what is. A contemporary home set amongst character homes. It epitomizes a contemporary dwelling in every way. Architecturally designed using materials from multiple sources. Exposed block wall in kitchen. Macrocarpa doorjambs and window revels. Elevated for views on every level. This property was completed early November 2016 and has been admired by many in the suburb. This property was the New Zealand National Winner of ‘Best Small Home’ and features in the ‘Home of the Year 2017’ magazine April/May edition. The Clients were extremely happy with the processes, products and workmanship with which it was carried out. They are thrilled with the properties look and feel, and are enjoying the comforts of a well-designed and styled home.